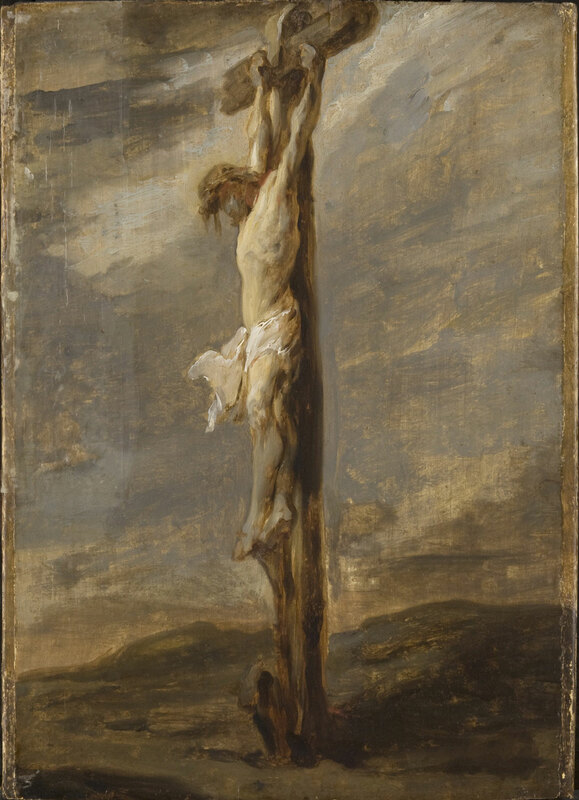 Formerly renowned as a Rembrandt, this small oil sketch uses a compositional device—a cross set at an oblique angle to the picture plane—found in several works by the master. The inspiration may have been an etching of the Crucifixion that Rembrandt made about 1635. Here the artist creates a sense of desolation through the bleak landscape and the collapse of Christ’s head onto his chest.